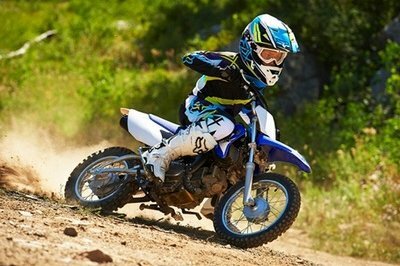 With its rugged tires, great ergonomics and the capable engine the 2014 Yamaha TT-R110E is ready to tackle any terrain with poise. 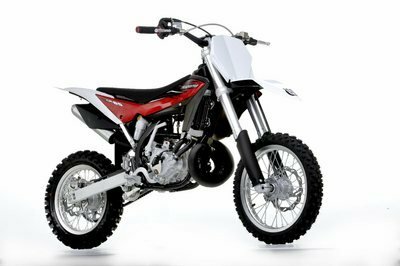 The motorcycle weighs only 159 lb and is propelled by a 110cc, air-cooled, SOHC, four-stroke engine which was especially develop to reward you with a strong low end torque for first class off road performances. The engine’s power is transferred to the rear wheel through a constant-mesh 4-speed transmission. To be able to deal with difficult terrains without backing down, the Yamaha TT-R110E needed a set of adjustable suspensions. Therefore it comes with a front 31 mm telescopic fork (4.5-in travel) and a rear swingarm (4.3-in travel). The motorcycle’s speed is kept under control by front and rear drum brakes which offer a pretty strong stopping power. The 2014 Yamaha TT-R110E is offered with a base price of $2,240. 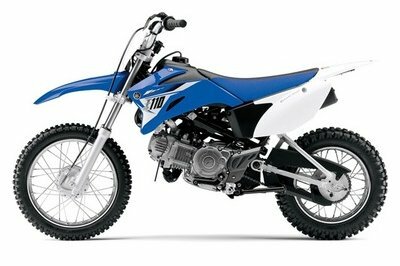 Hit the jump for more information on the 2014 Yamaha TT-R110E. 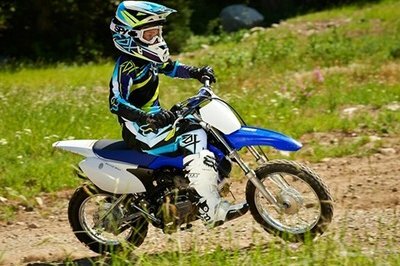 TT-R110E has a push button electric starter, four-stroke powered engine, adjustable suspension, and 220mm front disc brake, with 19-front and 16-inch rear wheel combination, kids and adults will love to ride. • Convenient electric starter for effortless starting. 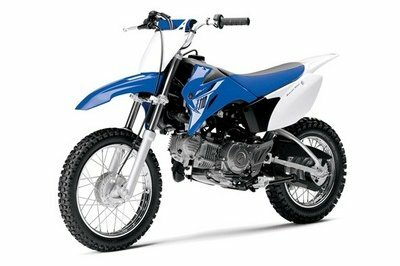 • Big fun for the whole family, the YZ-styled, four-stroke-powered TT-R110 begs to be ridden by everyone. 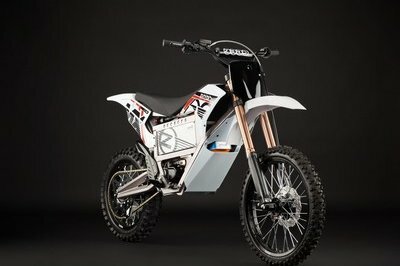 • A seat height of only 26.4 inches makes this one accessible to most riders, but 7.1 inches of ground clearance and great suspension at both ends means it can go places. • Four-speed auto-clutch transmission has an easily accessible gear for nearly any terrain. 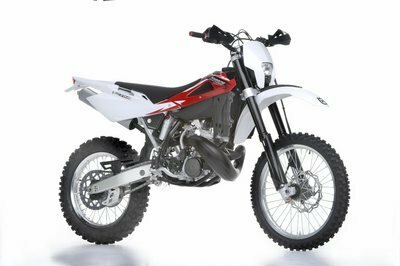 • Torquey/powerful 110cc air-cooled SOHC four-stroke powerplant is tuned for maximum off-road performance in a wide range of trail conditions. • Compact hemispherical combustion chamber with 9.3:1 compression produces max torque at 4000 rpm, max horsepower at 7500 rpm. • Four-speed gearbox with automatic clutch has the right gear for wherever you ride. • Convenient electric starter for effortless starting, and backup kick starting. • CDI ignition system is ultra-reliable and never needs maintenance. • Easy-access, tool-free air filter adds extra convenience during maintenance. 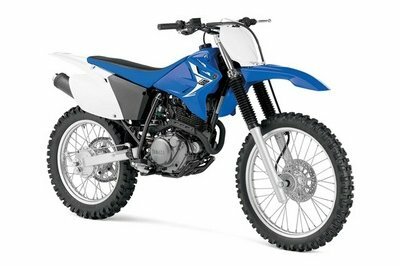 • Lightweight exhaust system features quiet, USFS-approved spark arrestor. • Steel backbone frame ties steering head and swingarm pivot together via a straight line, with the engine mounted at three places for optimum strength and high ground clearance. • 31mm fork with high-tech internals including a damper valve with oil lock provides excellent damping, great bottoming resistance and 4.5 inches of smooth travel. 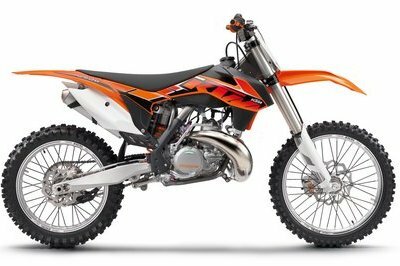 • Monocross® rear suspension pivoting on a strong, 12mm shaft, along with a gusseted steel swingarm, provide excellent rear wheel control through 4.3 inches of travel. • Die-cast aluminum top triple clamp helps provide light, precise handling and looks great, too. • 26.4-inch seat height and 7.1 inches of ground clearance help inspire confident performance on rugged trails. • Front and rear drum brakes deliver strong, dependable stopping power. • 14-inch front and 12-inch rear wheels inspire great rider confidence by keeping the seat low and the steering light. • Knobby tires offer superb grip and exceptional wear. • Long, YZ-style gripper seat is low, comfortable, and allows easy rider movement. 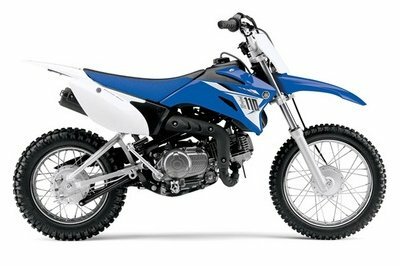 • Team Yamaha-inspired colors, graphics and front and side number plates create styling similar to larger YZ lineup. • Key-type ignition switch deters unauthorized riding.